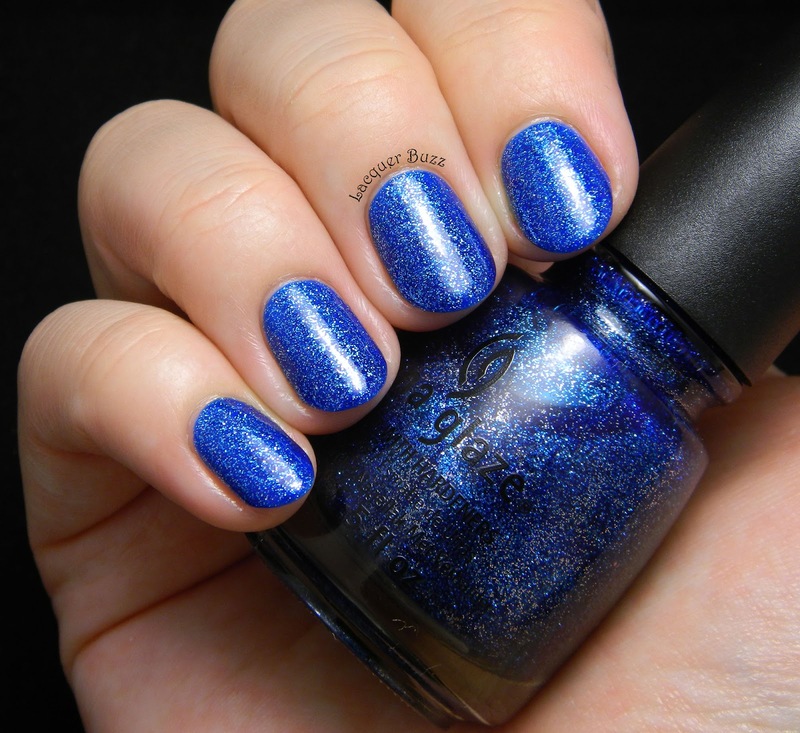 Lacquer Buzz: Monday Blues: China Glaze Dorothy Who? Dorothy Who? consists of a blue jelly base that is packed with blue and silver glitter. It might not seem like a big deal now that there are so many glitter variations from the indie brands, but I think this is a classical beauty that will always be a favorite for many people. It's sparkly and pretty and perfect! The jelly base is on the sheer side so this polish would need several coats to be opaque. I was lazy so I decided to layer it over one coat of China Glaze Sky High-Top to reduce the number of coats. I added a coat of Seche Vite to make it extra shiny and smooth and wore it like this for a day. After a day I decided to add some stamping using the chevron image from plate QA91 and Konad Black. 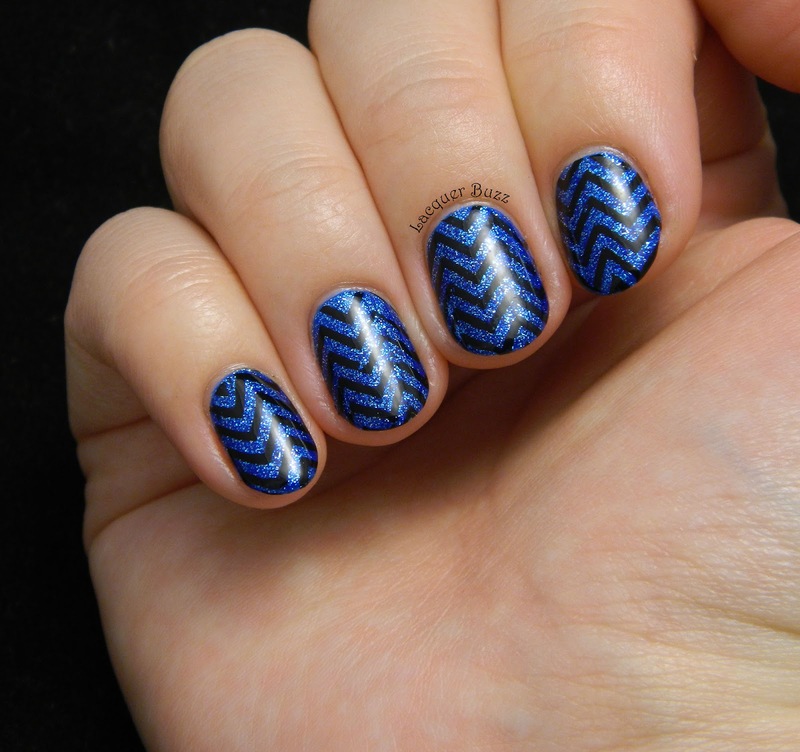 It's simple but I can't get enough of chevrons. I'm really glad that I have another China Glaze classic in my collection. Surely this polish will be on my nails many times in the future. It's one of those shades that is elegant and interesting at the same time. And if you wanna see more blue shades make sure you click on the links below! This polish is so so pretty! Dorothy Who? looks stunning on you! You captured it really well. I love the addition of the stripes as well. Dorothy Who? is so gorgeous!!! Love the addition of the chevrons too. Such a gorgeous shimmery blue this is! 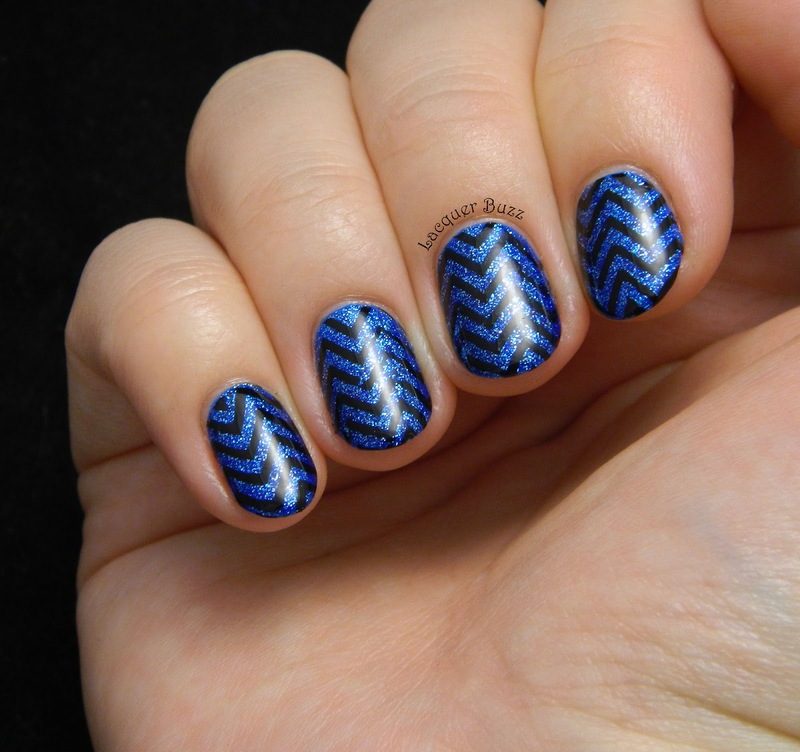 Love the black chevron stamping with it. It is SO nice to see a polish from a past collection being used! Especially when I have it! Thanks!